Why are housing rights activists intimidated in South Africa? Home Uncategorized Why are housing rights activists intimidated in South Africa? New York, United States – S’bu Zikode, the leader of a shack dwellers’ movement in Durban, South Africa, said he received a tip-off from police in July that he was being targeted and his life was under threat. Since then, the Abahlali baseMjondolo (AbM) organiser has been living underground, away from his family, between safe-houses. 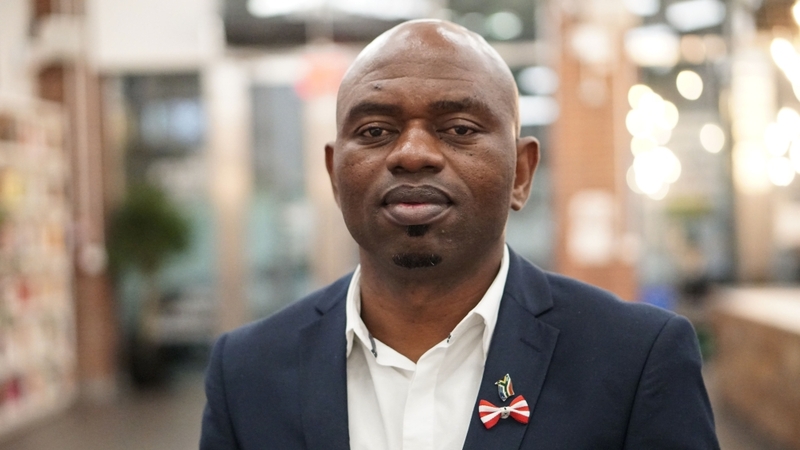 “I had been receiving threats from a number of local ANC councillors via AbM members and others, warning me not to step into their communities … the ANC have basically created no-go zones,” Zikode told Al Jazeera on the sidelines of an event in New York on September 29 to raise awareness on his story. ANC is South Africa’s ruling party, led by President Cyril Ramaphosa. Zikode says AbM members routinely face censorship, intimidation and even murder by local city officials as they attempt to pressure them into providing housing, improving living standards or preventing people in informal settlements from being violently evicted – all charges the city denies. “The police have confirmed that there is a hit on me and offered me state-witness protection but I had to refuse, because when I asked them for how long, they said until elections [in 2019]. “This means that they will protect me in order to neutralise me from my work ahead of the election … I couldn’t do it,” Zikode said. On Monday, AbM is holding protests in South African cities and New York against what it terms as state repression, threats and assassinations. AbM says six of its members have been killed since 2017. It also alleges that three other members from the Eastern Cape have also gone into hiding, citing mounting threats on their lives. AbM says their requests to President Ramaphosa and General Bheki Cele, the minister of police, for a Commission of Inquiry into the killings of AbM members have gone unanswered. But a spokesperson for Zandile Gumede, the mayor of eThekwini, the metropolitan municipality including Durban, dismissed AbM’s claims. The mayor is the regional chairperson of the ANC. “This is an old, repeated, fabricated allegation by Abahlali … they must approach relevant security agencies if they have evidence instead of the media,” the spokesperson said. “Making such a serious allegation without going to court will not assist anyone. The failure to report such is counterproductive and equivalent to defeating ends of justice,” Gumede said. Colonel Thembeka Mbhele, a spokesperson for the South African Police Services (SAPS), confirmed to Al Jazeera police had opened “a case of intimidation” in Durban, raised by the organisation, but said she had no knowledge of Zikode being tipped off by members of the police force. Bheki Ntuli, the ANC’s regional spokesperson, did not respond to multiple requests for comment. Since its inception in 2005 at the Kennedy Road settlement in Durban, AbM members say they have faced hostility from police and the ruling ANC government, particularly city officials. This is the fifth time Zikode has gone into hiding since the organisation, which now has 55,000 members, began. Activists working with poor and marginalised communities in KwaZulu-Natal, the province of which Durban is the capital, say that there is a history of systematic violence against the AbM. In 2016, two ANC councillors and a hired hitman were found guilty of murdering Thuli Ndlovu, an organiser with AbM. Ndlovu was shot dead in front of her daughter by a gunman who had been offered $1,000 and a home for the job. In 2017, a court found a police officer guilty of killing 17-year-old AbM member Nqobile Nzuza during a protest in Cato Crest, an informal settlement 7km south of Durban. “Abahali members have been killed over the years for their work because they do it outside of a political party or electioneering process,” Axolile Notywala, general secretary of the Social Justice Coalition (SJC), told Al Jazeera. “They have [direct] experience of corruption and lack of service delivery, therefore speaking out against the ruling party is dangerous,” Notywala said. AbM focuses on impoverished and working-class communities, traditionally the ANC’s voter base. “We were not expected to be so vocal and radical and to speak against the ruling party. The ANC behaves like they own the poor. And when we speak, we offend them, because they have always claimed to champion us,” said Zikode, the AbM leader. Since 2014, at least 100 people have been killed in politically-motivated murders in KwaZulu-Natal, the home province of former president, the ANC’s Jacob Zuma. With the heartbeat of the economy in urban centres, black South Africans have moved to cities in search of employment and opportunities. But the lack of affordable housing has meant millions have resorted to living in informal settlements, often on vacant land on the outskirts. 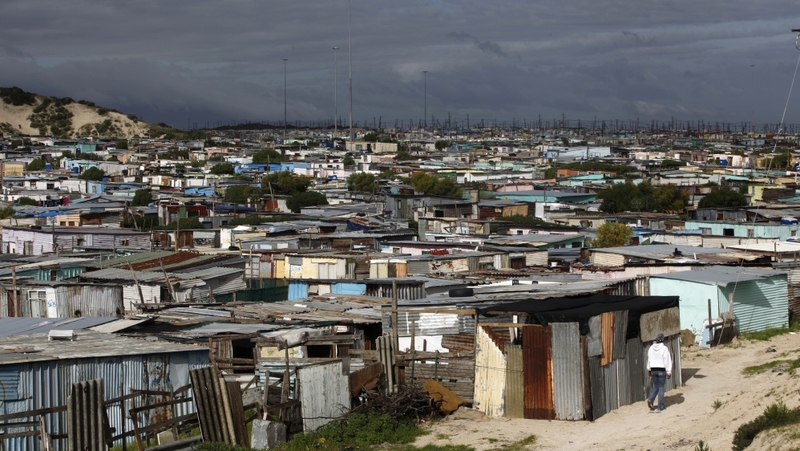 According to the PEP, a non-profit organisation that supports communities living in informal settlements, around 12 million South Africans live without proper housing. In April, the World Bank said South Africa was the most unequal country on earth. More than half of the country lives below the poverty line. Youth unemployment hasalso reached record highs. “As long as there’s still poverty and exclusion, the [AbM] movement is here to stay since it plays a critical role in a political landscape … they keep politicians on their toes,” Baruti Amisi, CEO of KZN Refugee Council, told Al Jazeera. Zikode said people occupy land “so they they can get closer to dignity”. Twenty-four years since the onset of democracy, most land remains in the hand of white South Africans, who make up less than nine percent of the population. In December, the ANC resolved to expropriate land without compensation, but Zikode said the ANC is using the issue to win votes. “They have lost credibility; the question of land has been raised because the ANC wants to restore trust and confidence. After the elections, all of this will be put aside. “As much as we agree with the concept [of expropriation without compensation] we have a lot of questions. For us, it suggests they will take land from white elites and give it to black elites, and this will not benefit landless, homeless and ordinary people,” Zikode said. When it comes to the future of AbM, Zikode regrets that in the organisation’s 13 year-history, “we haven’t been able to organise houses for our people”. He hopes to build a larger base to push for change. But first, he has more immediate challenges. “Reality will hit when I return to South Africa; I return to uncertainty,” he said.